WHY YOU NEED TO EXPUNGE YOUR KENTUCKY CRIMINAL RECORD! DOES YOUR KENTUCKY FELONY CONVICTION QUALIFY FOR EXPUNGEMENT? If the charges were dismissed with prejudice, you are eligible to expunge in 60 days. You pled guilty to an eligible Class D felony offense. Click here to see Helpexpungeme.com in the News! The attorneys at HelpExpungeMe.com make expunging your record as easy as a phone call. Upon submitting the necessary information to our office to locate your records and paying the required fees to obtain them, we will discuss what your goals are and how we can help you. We will then file the expungement petition and order and appear in court so you don't have to! See our Process for Expungement page for more detail. Misdemeanor expungements generally will cost you $390.00, and felony expungements will generally cost $1,590.00. Fees and costs may vary based on your individual circumstance. Benham Sims has served as a prosecutor, Jefferson District Judge, and defense attorney for almost 30 years. He has been recognized as Kentucky's "Outstanding Public Servant" by the Kentucky Prosecutor's Advisory Council, "Prosecutor of the Year" by the Jefferson County Chapters of the Fraternal Order of Police, and appointed as a Jefferson District Court Judge and as a Special Justice to the Kentucky Supreme Court. In private practice, Benham Sims is a five time Louisville Magazine "Top Lawyer" Award Winner. Benham has been an outspoken advocate for "smart on crime" changes to our criminal laws. His passion stems from a family history of public service to Kentucky. His grandfather, John Y. Brown, Sr., was Kentucky's youngest Speaker of the House, a Congressman during Roosevelt's famous 100 days, the author of the first Civil Right Act passed in the South, and was called the "Clarence Darrow of the South" by famed criminal attorney F. Lee Bailey. His uncle John Y. Brown, Jr. founded Kentucky Fried Chicken, and served as Governor of Kentucky from 1979-1983. His sister Dorothy gain national fame as a trial lawyer in the case of the "State of Florida vs. Casey Anthony" and as an expert on cross examination. Benham's wife Deborah is a respected Judge. His family includes lawyers, State Representatives, teachers, artists, national news correspondent and producers, domestic violence advocates and successful businessmen and businesswomen. This family history of public service inspired Benham to help draft and secure the passage of Kentucky's new expungement law. The Bill's sponsor asked Benham, as a former Judge, Prosecutor and Expungement Advocate to testify for the Bill's passage before the House Judiciary Committee. Benham would be the first to tell you that expungement reform has been the most important work of his life. In order to secure the passage of the new expungement laws, House Bill 40, Attorney Benham Sims met with Kentucky's labor and business leaders, House and Senate Leadership, and the Governor's office to secure support for expungement reform. 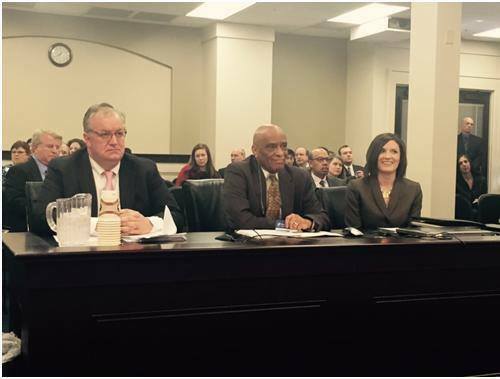 He was the only lawyer in Kentucky asked by the Bill's sponsor to testify before the Kentucky House Judiciary Committee on Expungement reform. He advocated for reform that permits certain Class D felony charges to be expunged, and advocated for changes in the law, so that people who were merely charged and not indicted can now expunge the charge from their record. This is an advertisement. The information obtain on this site is not, nor is it intended to be legal advice. The website is designed to provide only general information about expungement. Use of this website is not intended in any way to create or even to convey the impressions that such use of this website by any person, organization or entity and or of any kind constitutes any attorney-client relationship whatsoever. Further any information provided in this website shall not constitute legal advice. Use of any electronic communication available through this website with HelpExpungeMe.com or any person associated with the website shall not create an attorney client relationship nor will any communication received on this website by anyone associated with HelpExpungeMe.com constitute legal advice or an attorney-client privileged communication. HelpExpungeMe.com cannot make any guarantee as to the accuracy or currency of any information contained in or created through use of any kind to another website contained in this website. You should consult a lawyer for individual advice regarding your own situations. PLEASE NOTE: While we would like to hear from you, please understand that merely contacting us does not create an attorney/client relationship We cannot become your lawyers or represent you in any way unless we know that doing so would not create a conflict of interest with any of the clients we represent, and (2) satisfactory arrangements have been made with us for representation. Accordingly, please do not send us any information about any matter that may involves you unless we have agreed that we will be your lawyers and represent your interests and you have received a letter from us to that effect. The hiring of a lawyer is an important decision and should not be based solely upon an advertisement. You should consult a Kentucky attorney for individual advice regarding your own situation. You may contact the Louisville Bar Association Lawyer Referral Service at (502) -583-1801 for a list of attorneys who practice regularly in our district and circuit courts. Copyright © 2019 HelpExpungeMe.com, LLC, all rights reserved.